Super Mafia Bros Super Mafia Bros Super Mario Bros. meet The Godfather. Use the arrow keys to move. Press Z for turbo, X to jump, and C to shoot. Super Mario Bros Flash Super Mario Bros Flash World 1 of a recent Mario demo. Still a little buggy, don't die or you have to restart it all over. 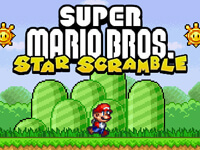 Super Mario Brothers Star Scramble 2 Super Mario Brothers Star Scramble 2 Play with Mario and look for coins play with Mario and look for stars! Super Mario Cape Glide Super Mario Cape Glide Help Mario avoid the blocks while he glides through the air with his cape. Click the left mouse button to elevate. 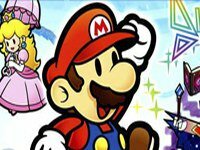 Super Mario Crossover 2 Super Mario Crossover 2 Play Super Mario styled levels with other classic game characters like Mega Man & Samus. Super Mario Drift Super Mario Drift Drive speed around the courses drifting and break items on the track to complete the level. 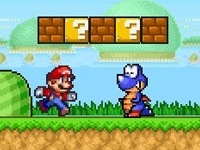 Super Mario Flash 2 Super Mario Flash 2 A super good mario flash game! Explore with adventure mode or level editor! Super Mario Halloween Super Mario Halloween A Super Mario Flash game with a Halloween theme. Move Mario with the arrow keys and kick with the shift key. 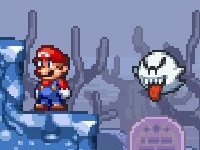 Super Mario Star Scramble Ghost Island Super Mario Star Scramble Ghost Island Mario is facing the ghost and he is really scare, come now and help him scape. 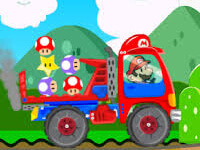 Super Mario Truck Super Mario Truck Super Mario Truck, Help Mario drive his truck and deliver items back to his home. Super Mario World Flash 2 Super Mario World Flash 2 Collect coins and kill enemies from Super Mario World as you make your way from tunnel to tunnel. Super Mario World Revived Super Mario World Revived A Flash revival of Super Nintendo's Super Mario World. 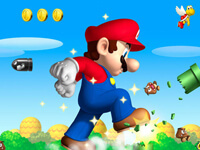 Control Mario with the left/right arrow keys and space bar.